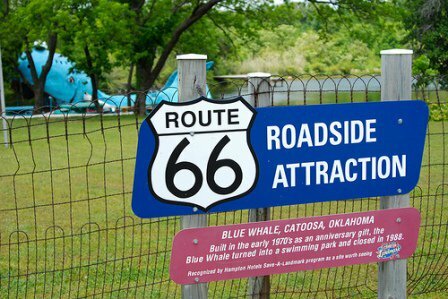 The Blue Whale in Catoosa has become a beloved historic landmark along Route 66. 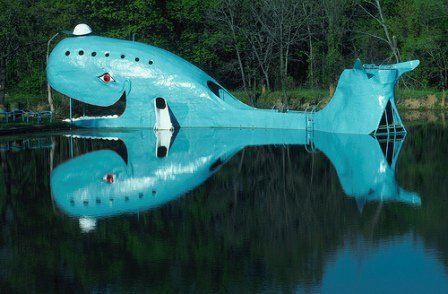 The Blue Whale was originally built by Hugh S. Davis, a zoologist and family man who envisioned the whale as a special place where his grandchildren could play and swim in the nearby pond. His sketches of the mammal grew until they reached 20 feet tall and 80 feet long. 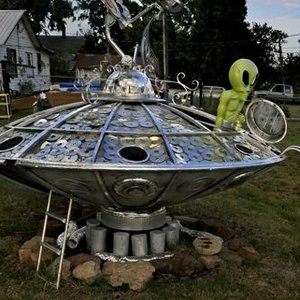 With the help of a friend, Harold Thomas, the duo spent two years welding the metal framework and applying the hand-mixed cement, one five-gallon bucket at a time. 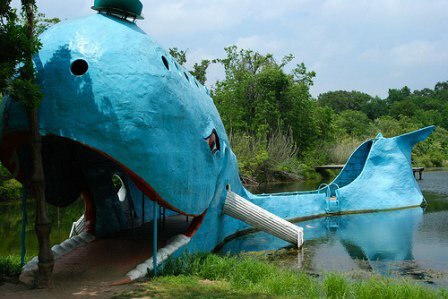 After the whale's completion in July 1972, it attracted visitors from all over and became a place where people swam, fished and picnicked. 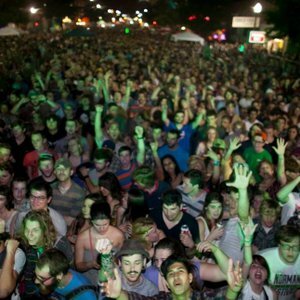 It is still owned and operated by Davis' daughter, though swimming is no longer available. 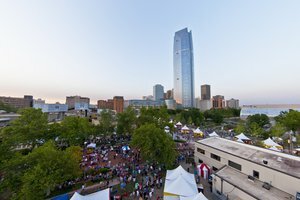 Over the years, there have been many efforts to refurbish the whale with new paint and facilities. 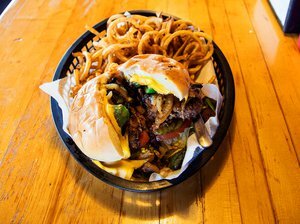 Pack a picnic lunch and head to the Blue Whale for a fun-filled day of fishing. 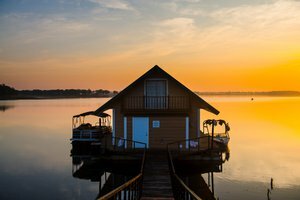 This quirky attraction also has seasonal restroom facilities. 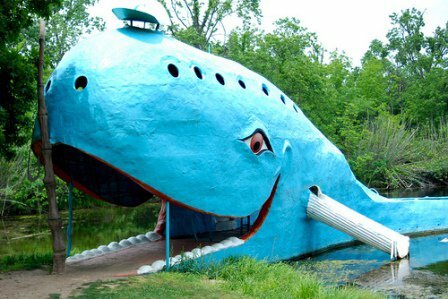 Explore the different angles of this jovial concrete mammal and you'll find a small ladder leading into a secret compartment in the whale's head. 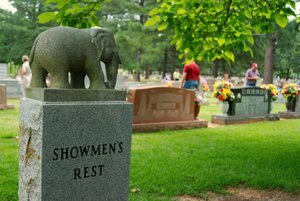 This area has been a family favorite for generations and continues to be a must-see for any traveler on Route 66. 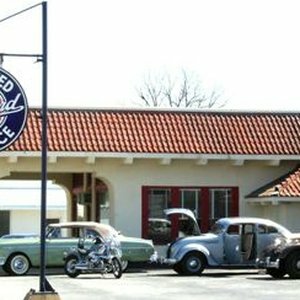 Located 1 mile north of Catoosa on Rt 66 on west side of highway. 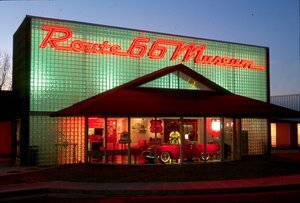 Travel down Oklahoma’s stretch of Route 66 and find quirky stops, kitschy photo-ops and unique destinations along the way. 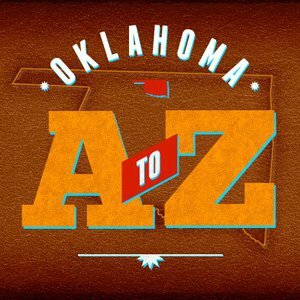 Begin your east to west journey along Oklahoma’s 400 miles of Route 66 with these offerings found between Miami and Tulsa. 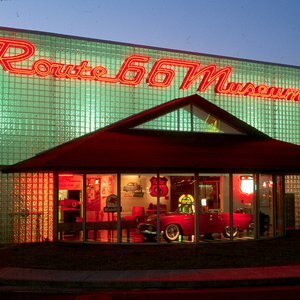 Immerse yourself in the history, culture and novelty of Route 66 by visiting the top attractions on Oklahoma's stretch of the Mother Road.